The palace intrigue of Missouri Republican politics is something to behold. The Missouri Republican central committee asks Ambassador Ann Wagner to step into the vacated US Senate candidacy. I believe Ann is Missouri’s best chance—America’s best chance—of regaining the Senate. If Ann chooses to make the jump, she will leave a race in which she is all but certain to win, to take on the biggest challenge of her life. She will need all of our support, and she will have all of mine. And then it all clicked: Ann Wagner is orchestrating the assassination of Todd Akin's campaign. To be sure, Akin precipitated this, but, ever the opportunist, Wagner didn't miss a beat. As the former head of the Missouri Republican Party, she's leveraging her contacts across the state and the nation to put pressure on Akin to withdraw so she can run for US Senate. How gauche! A year and half ago, on January 20th, 2011, Ann Wagner conceded her bid to become RNC Chairman after several rounds of balloting. In the following round, Reince Priebus won. Ann's concession led to Priebus's victory, so it comes as little surprise that yesterday Priebus called for Akin to abandon his Senate bid. 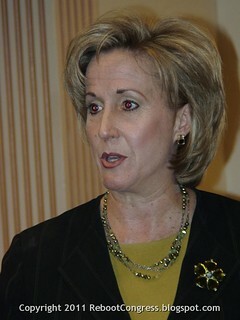 During Roy Blunt's 2010 run for the US Senate, Ann Wagner served as his campaign chairman. Blunt is now in the leadership in the United States Senate which puts him in a position to ask the National Republican Senatorial Committee to cut their funding to Todd Akin's campaign. Did he do so? Is Wagner using other proxies to try to drive Akin from the US Senate race? CrossroadsGPS has cut their funding, too. If you need one more reason why Ann Wagner is unqualified for the Republican nomination for US Senate from Missouri, it's the blood on her hands from trying to kill the campaign that currently occupies that position. 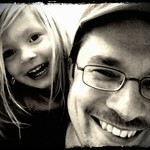 I do think there's a strong case to be made to replace Akin with someone like Brad Lager. Nonetheless, the decision to abandon his US Senate bid rests solely with Todd Akin. That's a difficult decision. Pray that God grants him wisdom. Interesting theory Darin, but Jo Ann Emerson? C'mon. Yeah. That would be frightening, but she is technically senior to Ann Wagner. Your article explains why the Republicans were so quick to eat their young. I'll be voting for Akin, anybody but McCaskill.